Death is the boundary stone of life but not of love. 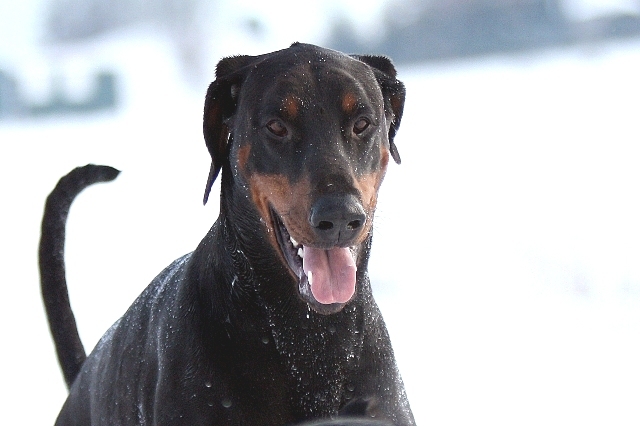 Carlos was our first Doberman and very special to us. He gave us everything he could afford, unlimited love and overwhelming faithfulness. He was always there when he was needed and consoled us when we were sad. Nothing could have happened with him at our side, because he lived for his family. Thank you dear Purzel, thank you for all! You were simply wonderful. You were the one, who taught Draga so many things for her life. It was a beautiful, though short time, together with you and we will never forget you! You will always be in our hearts. We love you!